Bahrain: K.S.Sheik, Managing Director of prestigious Expertise Contracting Co.Ltd. 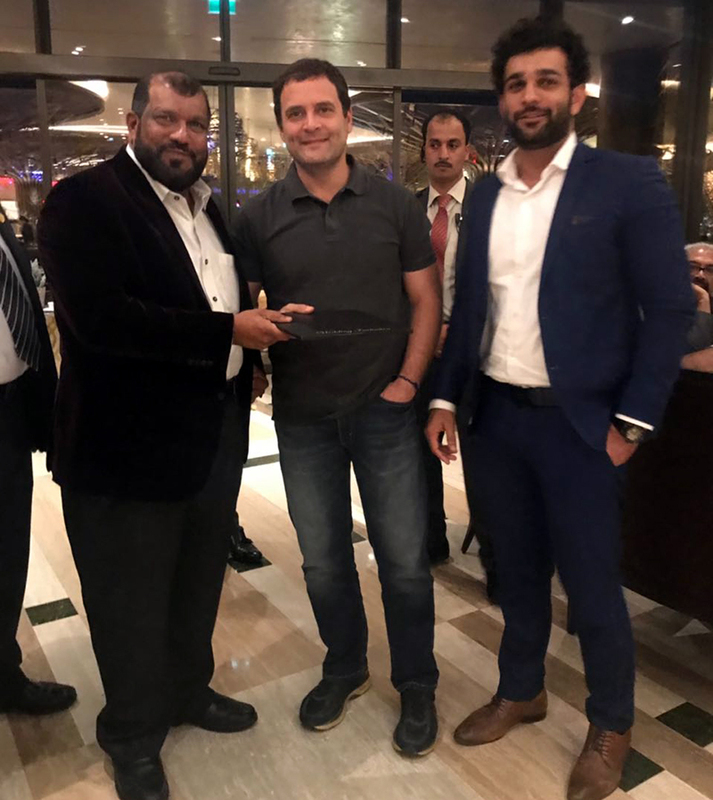 , a Saudi based multinational company met congress President Rahul Gandhi in Bahrain on Tuesday. He invited Rahul to attend the marriage of his youngest brother Mohammed Anshif to be held at Karnire, Mulki in Dakshina Kannada District. Rahul graciously received the invitation and wished the to be bridegroom Anshif who was present along with Dr UT Ifthikar, senate member of RGUHS . Did HDK make a U-turn after alleging BJP corporator's role in Deepak case?